Find Federal Heights, CO Homes for sale. View Photos, Maps and MLS Data Now! Northborough Heights - With close and convenient access to shopping, Denver City, DIA, restaurants and schools this home is ideally located. 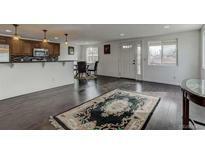 MLS#7536835. COLORADO LANDMARK REALTORS. Homestead Heights - This home is definitely a must see! MLS#2152693. Keller Williams Preferred Realty. Open house Saturday 4/27 12:00 - 3:00, Sunday 4/28 12:00 - 3:00. MLS#8667478. EXIT Realty Denver Tech Center. Northborough Heights - This home is priced to sell! Come take a look! MLS#3254258. SST Realty Group. Monticello - Price is for the land and home, no lot fee. MLS#2949483. 8z Real Estate. Monticello - Buyer/Buyer's agent is responsible for verifying all information, measurements and schools. MLS#3019702. Redfin Corporation. Holiday Hills Village also offers you on-site laundry facilities, management, and RV storage all for your convenience. MLS#9332756. RE/MAX MOMENTUM. 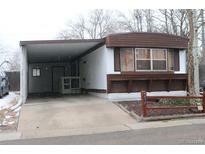 Monticello - Great rental investment opportunity, oversized car port and there is no lot fee! 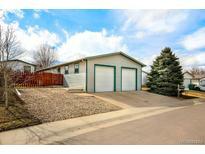 MLS#7303369. COLDWELL BANKER RESIDENTIAL 24. Northmoor - This home makes a statement, come see for yourself. "What's on your list?" MLS#7488774. MB Metro Brokers Home Solutions Realty Inc.
Holiday Hills - LAND NOT FOR SALE, the manufactured home is being sold with a monthly land lease. MLS#4218257. AJAX REAL ESTATE LLC. Lots of parking space, yard, lots of extra storage space in attic as well as a shed on the property! MLS#9291140. COLDWELL BANKER DEVONSHIRE. Fully fenced backyard with a shed. There is no lot rent. MLS#9370615. Brokers Guild-Cherry Creek Ltd..